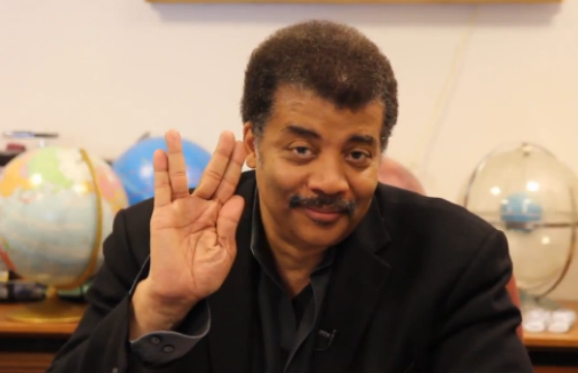 Neil deGrasse Tyson is the closest thing modern science has to a rock star. To call him this generation’s Carl Sagan isn’t too far off. The Harvard-trained astrophysicist has a unique ability to take complex theoretical concepts and make them accessible to a wide audience, and be totally engaging at the same time. Hell, he even helped reboot Sagan’s Cosmos: A Spacetime Odyssey, which wraps up its 13-episode run this Sunday on various Fox channels. Over the years, Tyson has also taken it upon himself to chime in on various movies that may not be using science in the proper way, or that have blatantly ignored the laws of physics. He absolutely eviscerated that scene J.J. Abrams’ Star Trek Into Darkness where the Enterprise hides underwater. So you have to assume that, given his penchant for pointing out scientific flaws in movies, he must watch a fair amount of them. Hero Complex took it upon themselves to get in touch with him and inquire about his tastes in the genre. What follows are Neil deGrasse Tyson’s top ten favorite sci-fi movies, in chronological order, with one honorable mention. You may find some of them surprising.